Kantox, whose French office is based at the Partech Shaker, experiences 250% growth in 12 months as businesses follow consumers to look beyond banks to alternative players in turbulent FX market. Discussion with Philippe Gelis, CEO, after the company hit the $1 billion in business foreign exchange transactions. Kantox just surpassed the symbolic amount of 1$ billion in transactions. Do you consider this milestone as a symbol or an achievement? Philippe Gelis: Definitely a milestone but not an achievement at all. I still remember when we reached the first 10M, then the first 100M (it was when Partech decided to invest in Kantox - July 2013), now that we have reached the first $1bn we are already focused on the $10bn milestone. It is a never ending story as the foreign exchange market is by far the largest market in the world so we will always have room to grow. But it is not easy to enter a market that is monopolised by a few players with infinitely more financial might than you, but through belief, hard work and determination, we did it. When do you expect to reach the second billion? Philippe Gelis: That is a good question. If we go on growing at the same pace, trading more than $100m per month in 2015 for sure. We are seeing solid, consistent trading figures that are growing steadily. Who knows, we may even hit the 3 billion mark this year too! But the real question is definitely when we will process trades totalling $1bn per month. Fintech stands at the center of attention. How do you see the sector you operate in, and what kind of evolutions are you expecting? Philippe Gelis: First I would like to give my definition of Fintech. I only consider Fintech to be companies that offer a product directly competing with banks, in other words alternative products: lending, invoice discounting, crowdfunding, FX, etc. Banking software of user interfaces is not really Fintech for me. So, I consider that we are experimenting with the first wave of Fintech, with companies like Kantox, Lendix or Finexkap focused on specific verticals. In other words, we are still in the beginning and we have not already seen any real M&A activity in Fintech, except the Lending Club IPO that has been a game changer in the industry. In 3-5 years, I think that we will experiment with the second wave of Fintech with successful entrepreneurs launching Fintech banks. It means, online banks with banking licences based on marketplace models and API. This seond wave will really change the banking landscape as low-cost companies changed the airline industry approximately 10 years ago. Old-school banks will die out. Your activity has been fast-growing. 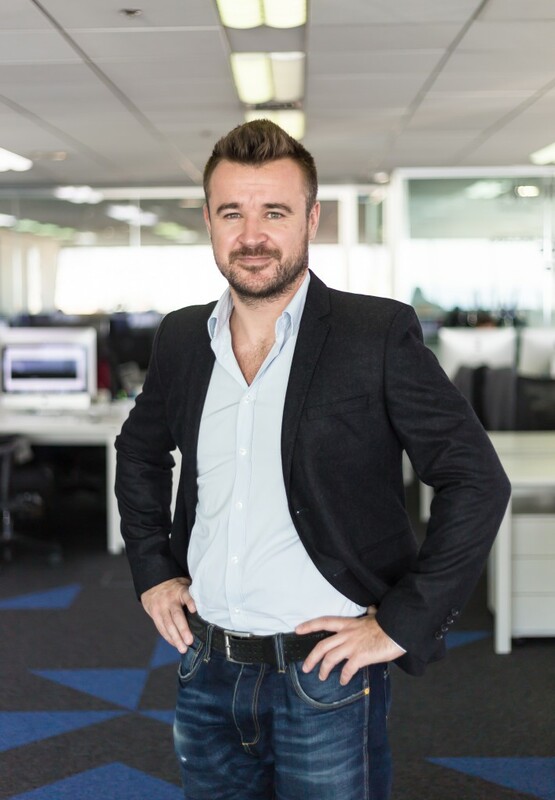 What new goals can Kantox set itself now? Philippe Gelis: In the short-run, it is all about consolidating our position in Europe, going from 1,000 to 5,000 clients, from $1bn to $10bn. Then, in 2016, we will start thinking about going overseas, to the US and / or Asia. For an FX business, being global is very natural. Now that we really understand the market, it is all about execution and maintaining fast growth. Do you intend to hire new recruits, or to settle in other countries? Philippe Gelis: We now have 50 employees in 3 offices in Europe: headquarters in London, back-office in Barcelona and a business development office in the Shaker in Paris. We will hire more people for sure in technology, business development and marketing across our 3 offices. We have no current plans to open any more offices.